So, why the selling price is almost 22,000? 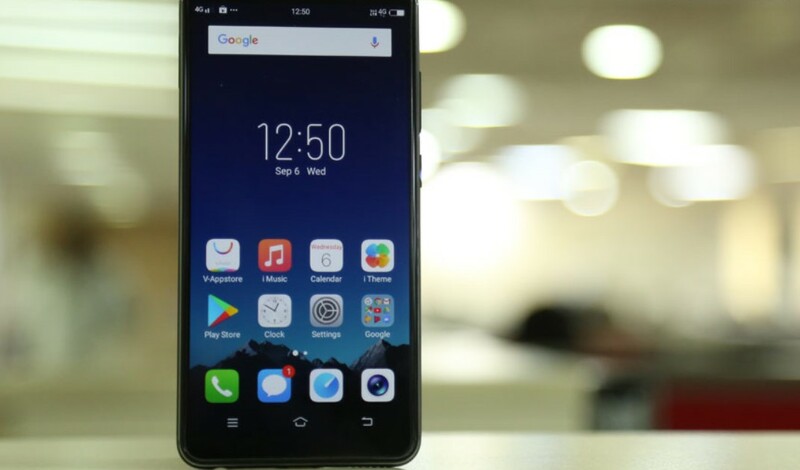 The shortest possible Vivo V7 plus review is: Not worth it! Let’s Elaborate. On 7th of September, 2017; Vivo came up with its latest ‘moonlight-selfie’smartphone priced at 21,990 INR. And, the only thing to boast about this phone is the very thing they advertised it for, that is: Selfie Camera! The only thing good about the Vivo V7 Plus phone is its selfie-camera, and the ‘Moonlight’ flash embedded alongside the front-facing camera. In short, if the only requirement of yours is to take “pretty selfies,” then this is your dream phone. Because with 24MP selfie-camera it sure-as-hell will take good selfies. The 4GB RAM and 64GB internal memory is a standard spec when it comes to this price range. Xiaomi, Moto, and Honor’s mid-range smartphones are some of the live examples of 4GB, 64GB variant. The 3225 mAH battery is also pretty average. Additionally, 4G+4G dual SIM is also not a rare thing to find in mid-range smartphones. Oh! This is my favorite part. Compared to one advantage of Vivo V7 Plus, there are numerous disadvantages of buying this phone. And, I am going to compare Vivo V7 plus with other mid-range phones like Mi A1, Moto G5s plus, Honor 7x, etc. to put a better light on the disadvantages. Note that the mid-range phones with which we are comparing Vivo’s V7 plus are priced 5k-10k less. While other mid-range phones come with Qualcomm’s Snapdragon 625 chipset, Vivo’s V7 plus comes with Snapdragon 450 which is slow compared to others in the same range. V7 Plus comes with a plastic body which is a disgrace when it comes to build-quality of a mid-range smartphone. While other phones in the 10K range come with a solid metallic body, Vivo decided to come up with a plastic body in a 20K range smartphone. I mean, dafaq! Vivo V7 Plus comes with a single lens 16 MP rear camera, which is good, but the others cheaper than V7 plus comes with a dual camera/ portrait mode setup. Hence, it makes it comparatively dull. This one is my favorite. Because the phone I purchased 2-3 years back(Lenovo a7000) had the almost-same screen resolution as in Vivo V7 plus. That is, 720p. Yes, you read it right. With all the advertisement going around with selfie-camera, 18:9 display, and 6-inch screen; they never thought of sharing the major flaw, i.e., 720p display. In short, if Honest-advertisement of V7 plus were done; the chances of people buying it would be less than one with no-advertisement. If I were to price the phone as compared to others available in the market, the price-tag would not exceed 12k-13k. Apart from profit margin; the constant endorsements, hiring mega-stars for advertising, paying retailers upfront, etc. lead the phone-pricing to almost 22k which is not at all customer-centric. If you read the whole article or at least the first line; you know what the verdict is. Vivo’s V7 Plus is not a value-for-money phone. With Snapdragon 450, 720p for a 6-inch screen, and a plastic body; nobody in their right mind would buy this phone just for a selfie-camera. There are many alternatives like Mi A1, Moto G5 s Plus, Honor 7x, Honor 9i, etc. which are less in price and better in results compared to Vivo V7 Plus. Hence, according to my opinion go for any of the alternatives. Thank you for reading throughout. Hope you liked this review. Don’t forget to share this with your technically-unknown friends and family. And, for more honest reviews, subscribe.